MUTEK is an annual festival held in Montreal and several other international cities around the world including Mexico City, Barcelona, and Bogota. The festival focuses on exploring the intersection between sound, music and new media, emphasizing innovation in live performance and providing exposure for Canadian artists as well as their international counterparts. This year’s MUTEK Festival Montreal is shaping up to feature a vast array of interesting artists presenting work that is on the cutting edge of technology in the ever mutating world of digital arts. With over 154 performers and counting, heads are sure to find musical styles representing many subgenres of electronic music. In this preview, we will highlight the festival’s female acts and give an overview of their work and aesthetic. The female performers for 2015 are Steffi, Dasha Rush, Karen Gwyer, CMD, and MINi and Nelly-Eve Rajotte presenting NIX, Kara-Lis Coverdale, Ramzi, and Ylang Ylang. Femmecult is looking forward to seeing these talented artists perform and help chart a course for more visibility of female electronic composers now and into the future. Stay tuned for interviews and a festival recap this summer! 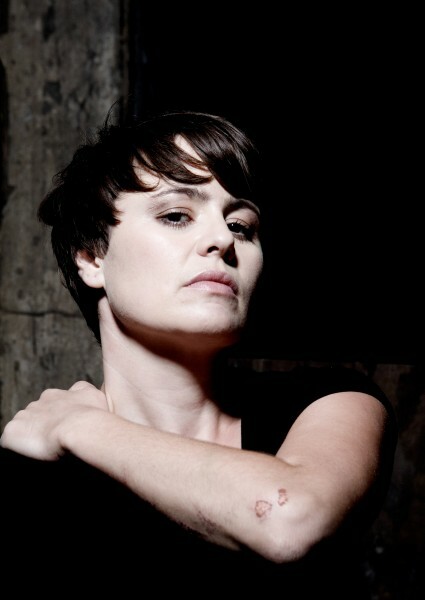 Steffi has had a prestigious career in electronic music as a label owner, producer, dj and resident at the famed Panorama Bar. She has been visible in the dance music community on many levels balancing her time between promoting underground parties, and running the Klakson and Dolly imprints while still finding time to create music that intuitively explores the different aspects of house and techno. Best known for hard hitting DJ sets that leave a lasting impact, her years of experience and encyclopedic knowledge of music are evident, reflected in her ability to create mixes with flow and composition to fit the moment perfectly. Her live performances are not limited to DJing either. Steffi is also part of an all hardware trio called the Analogue Cops that performs live in clubs all over the world. Here is one of our favorite recent mixes by Steffi on BBC Radio 1. Dasha Rush is the name on everyone’s lips lately and we are glad to know she’s getting the recognition she deserves. Her dedication to the craft of electronica is easy to see in her solo live hardware performances and DJ sets. In addition to being a highly influential and sought after performer, she also is head of FullPanda Records, a label known for high quality output that feeds the appetite of heady cerebral techno aficionados. This installation of MUTEK will see her performing her live audio visual project called ANTARCTIC TAKT. The concept and music was conceived by Rush, with the production of visuals by Stanislav Glazov and design development by Margo Kudrina who are both part of LichtPfad. The project’s concept was to create a virtual world that was frozen and clear, an icy “antarctic world” set against the aural backdrop of Rush’s drone and ambient techno. For more on the project, please visit the project page here. Here’s a video snapshot of Dasha and Stanislov performing the project at Berlin Atonal 2014. Karen Gwyer is making headway for her experimental off-kilter style composed of countless layers that run together in what some might describe as psychedelic electronica. House-tinged beats and techno merge with ambient noise and IDM vibes in an effortlessly listenable experience. There’s something nostalgic about her music, sounding like what it’s like to look at an old blurry photograph. She’s going for experimentalism, and says the that weirder her songs sound the better. The more you listen to her songs the more they reveal the hidden meanings and messages that just take time to comprehend. Here is a track off of her latest EP New Roof entitled Mississippi. CMD is the live project of Corina MacDonald, a Montréal based DJ, radio producer and host of CKUT 90.3FM’s Modular Systems as DJ Cyan. The show is celebrated for its far reaching variety into the many subgenres of electronic music including noise, experimental and techno. She is a founding member of several music collectives including Dark Disco, Women on Wax MTL and Phoniq and also brings her expertise to several publications including Vague Terrain and the media art and tech blog Argentine. CMD, a project that MacDonald says is heavily focused on sample manipulation and field recording brings together elements of dub techno and ethereal ambience on her most recent EPs, Elementals and Ice Daggers. You can find her music on several Canadian labels including pertin_nce, Low Noise Productions and Fur Trade Recordings. NIX is an A/V collaboration between visual artist Nelly-Eve Rajotte and DJ/Producer DJ Mini that looks at nature through technology and features beautiful Canadian landscapes as subject matter. Using a combination of VDMX and Max for Live along with bits of external hardware used for live sound design and sculpting, these two highly accomplished artists will present their work. When asked why they wanted to collaborate DJ Mini gave us these words, “I love her (Rajotte’s) imagery, and our creative processes tie in really well… She works a lot on disappearance, the fading of human presence in nature… I work a lot of deconstruction/reconstruction, organic/tech co-habitation/creation, using machine’s to create dialogs altered by a shadow like presence that feels like human interventions, and shifting that into fully assumed interventions, into control, for performance…The two approaches seemed complimentary.” We are looking forward to seeing the meaning of this alluring description translated into audio/visual stimulation. Kara-Lis Coverdale is a multi-instrumentalist working in acoustic and electronic media to create works that “blur the boundary between the human and the electronic machine” (Weird Canada). She is a classically trained keyboardist who has studied composition and musicology and has held several organist and music director positions across Canada since age 13. She creates beautiful ambient music that explores sacred histories of music while utilizing technological innovation to communicate a creative sensibility that is unique and unforgettable in its complexity. Her most recent release Aftertouches out on Sacred Phrases is an exquisite example of this brilliant composers take on textured drone orchestration. Although dubby IDM comes to mind, the music of Ramzi (Phoebé Guillemot) is also little reminiscent of an animal in a forest who just ate some psychotropic plant and had it’s mind blown. The production is silky and sounds absolutely effortless, although we all know it couldn’t be for the sheer complexity of it. Her music is highly listenable and as fun as floating in the clouds with alien radio transmissions. Below is a link to her most recent release BÉBiTES.